Mobiles are becoming an essential part of our life. These are very compact in size and giving excellent service in communication. As the technology grows up many mobile companies develops new model according to the market demands. Samsung and Nokia are two mobile manufacturing companies and well established in the market. Samsung is Korean based technology and the other is based on Japan technology. Technically both are having a good hold in the market. Now these two companies recently launch their new products by name Samsung Galaxy Pro and Nokia C3 01. The following few lines will give a clear idea about the comparisons. Samsung Galaxy Pro Price in India is approximately 10,000 INR where as Nokia C3 01 is available around 9025 INR. Both Samsung Pro and Nokia are GSM bar phones. Samsung operates at a frequency of GSM 850 / 900 / 1800 / 1900 / HSDPA 2100 MHz, where as Nokia operates at a frequency of GSM 850 / 900 / 1800 / 1900 / WCDMA 850 / 900 / 1900 / 2100 MHz. Both phones are supporting 3G facility with single sim. Samsung Galaxy Pro and Nokia C3 01support GPRS, EDGE, and UMTS very well. Even data can be transferred through Wi-Fi, Blue tooth and USB ports. 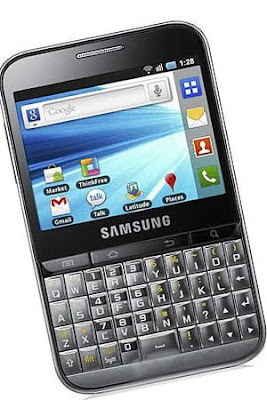 Samsung Galaxy Pro Review and Samsung Galaxy Pro Features are very clear and superb. Samsung Galaxy Pro has a TFT touch screen of 2.8 inches with 252 colors where as Nokia comes with 262k colors of 2.4 inches TFT touch screen. Sending SMS, EMS, MMS, can be performed very well in both the phones. 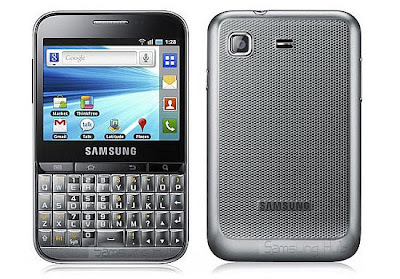 Samsung Galaxy Pro is available with 3.15 mega pixel camera with a support of secondary one. Where as Nokia has a single camera with 5 mega pixel. Both hand sets having a good image resolution with a video capturing and digital zoom. Both phones are enriched with MP3, MP4, audio & video players. Nokia provides FM radio over the Samsung Galaxy Pro. In both memory can be expandable up to 32 GB and have browsing facility. Unlimited phone book entries can be stored in both phones. Samsung Galaxy Pro Pictures and Nokia C3 01 pictures are readily available over the net. Black is a common color for both the handsets but Nokia has two more colors like Pink and Golden white.